A week after his Giant Shimano team-mate Marcel Kittel took three stages wins in the Dubai Tour, John Degenkolb posted his first victory of the season on stage one of the Tour of the Mediterranean on Thursday. The German rider was quickest out of the 97 riders who finished in the front group, beating Danilo Napolitano (Wanty - Groupe Gobert), Sonny Colbrelli (Bardiani CSF), Manuel Belletti (Androni Giocattoli) and the other sprinters to the line in Montagnac. The success earned him the first leader’s jersey of the race, and ended the frustration of a number of near misses in last week’s Etoile de Bessèges. “It was really nice out there today, sunny and warm which makes a nice change to the recent weather,” he said. “It was a long race and the guys rode great, especially Tom Peterson and Thierry Hupond who were on the front for what felt like the whole day. They were vital in dealing with a breakaway which attacked early on. Four riders were initially involved, namely Vegard Stake Laengen (Bretagne-Séché Environnement), Juan Pablo Valencia (Colombia), Pierre Gouault (BigMat-Auber 93) and Fernando Grijalba (Caja Rural-Seguros RGA), and these were joined approximately fifteen minutes later by Julien Bérard of the Ag2R La Mondiale team. They rode hard over two early category three ascents, where Grijalba took the points on offer. However their chances of staying clear were impacted by the route, which saw the riders reach more exposed sections with 85 kilometres to go. This led to the peloton putting the hammer down, with the strong riders and teams splitting the main field into two groups. The rapid pace continued and the field continued to break into smaller groups, with the front portion mopping up the peloton thirty kilometres from the line. Giant Shimano had to back off the pace with ten kilometres left due to a mechanical issue for Degenkolb. This enabled some of the riders who were chasing the front group to get back up, but the pace jumped again when Wallonie Bruxelles rider Christophe Prémont jumped clear and remained ahead until the final kilometre. 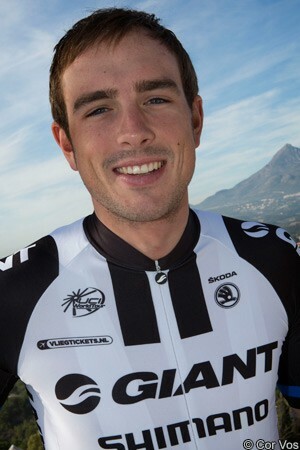 Once he was caught, the riders launched into the bunch sprint, where Degenkolb fared best. The race continues tomorrow with a 170.6 kilometre stage from Cadolive to Rousset.